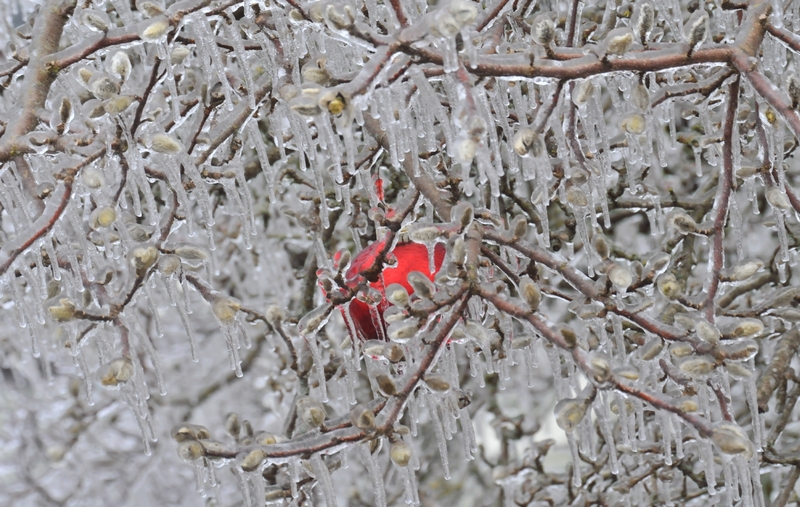 A single red ornament hung from an ice encased tree just beyond ice encased rose bushes. 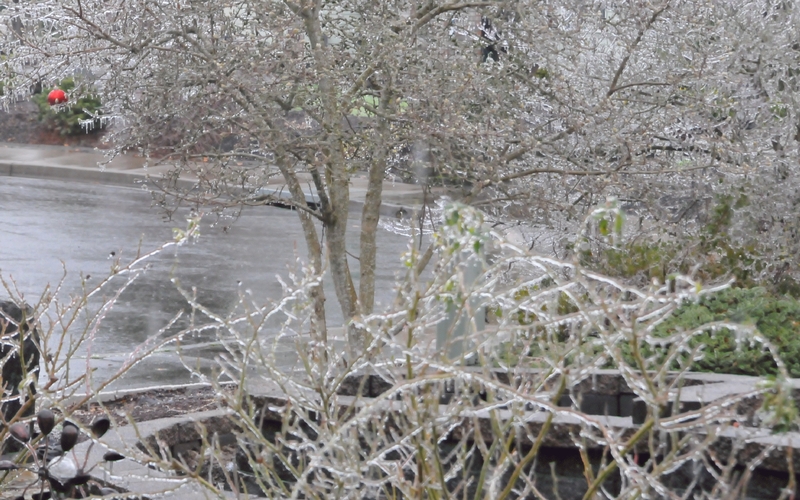 Water dripped off green leaves and froze to form tiny icicles. 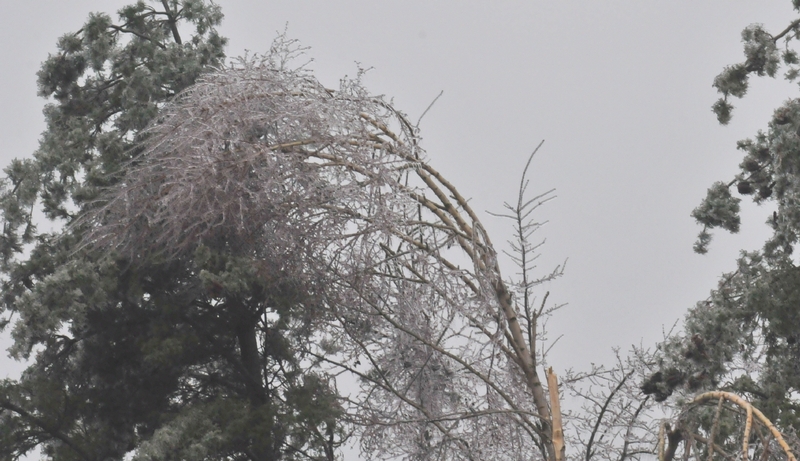 The weight of ice encasing this tree limb caused it to hang so low it touched the ground. 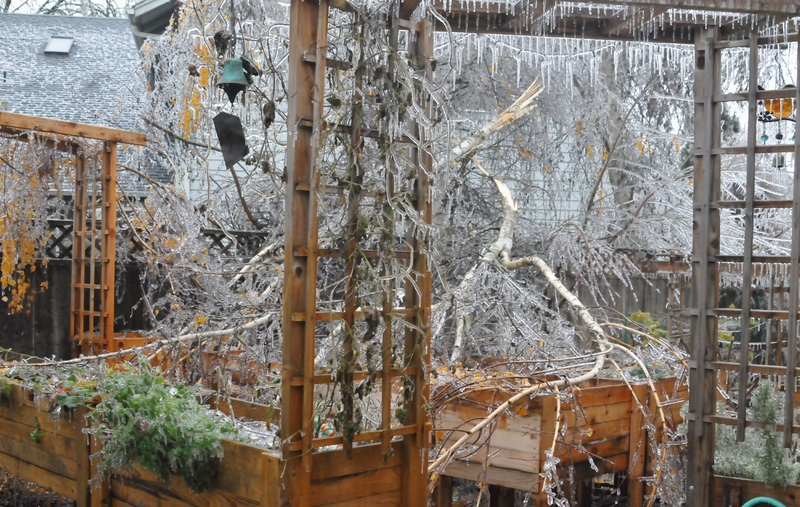 The tops of tall trees in the neighbors yard broke under the load of ice and fell across a raised garden bed. 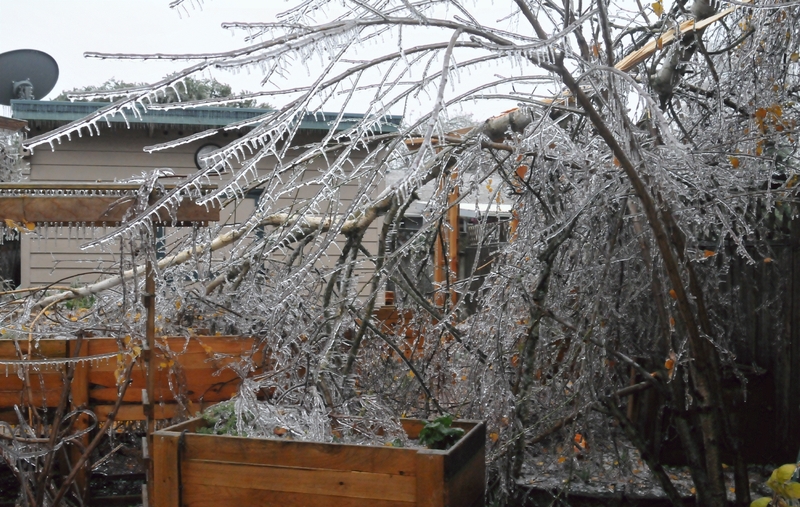 The tops of a neighbor's tree lay horizontally on a raised garden bed. 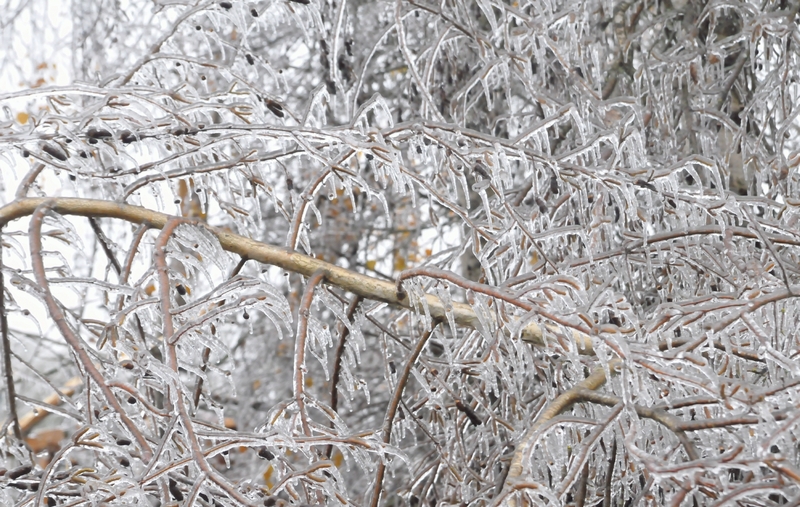 Ice encased tree limbs created an almost black and white image. 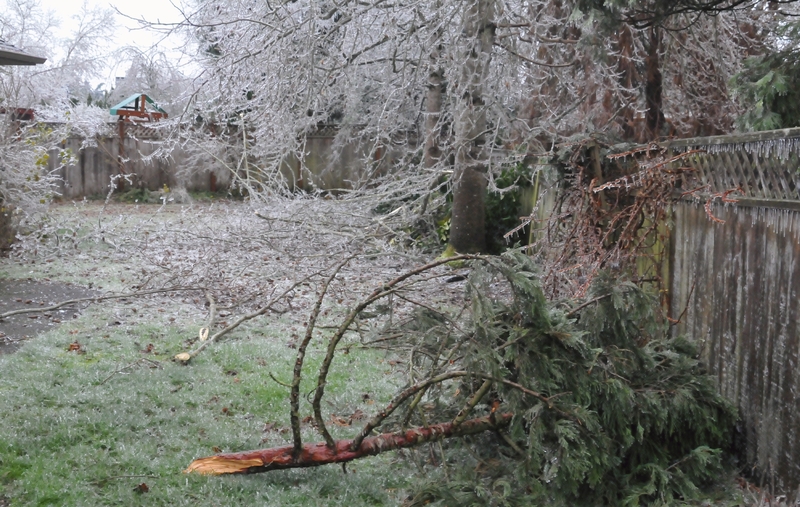 Fallen branches littered the back lawn. 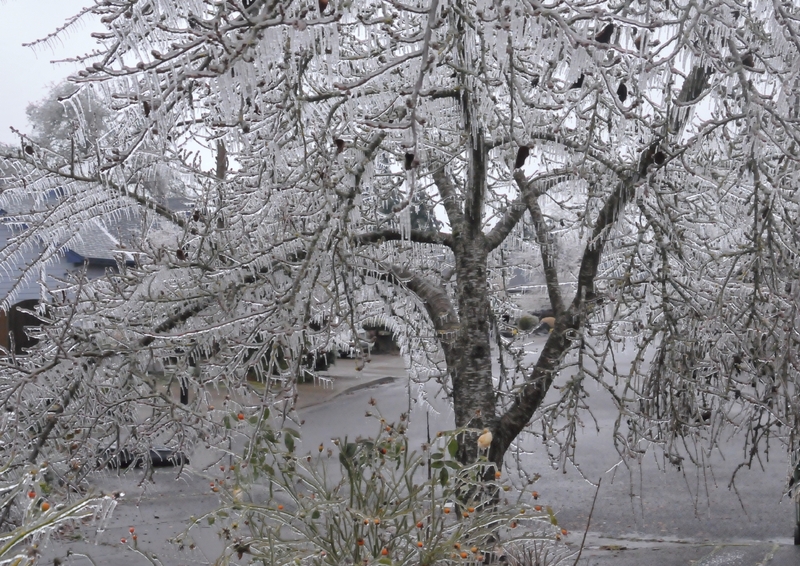 An ice slick street lay beyond an ice encased tree. 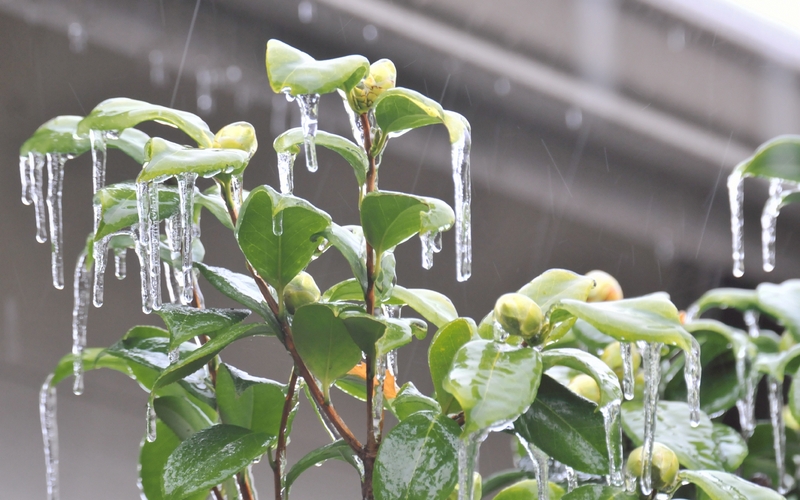 A rose bush, that presented many small pink and red roses during the spring, was encased in ice during the autumn. 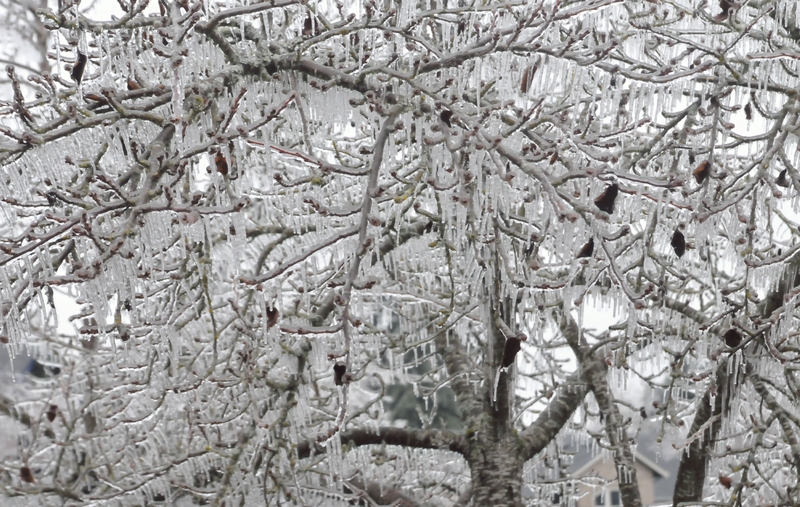 A tree that had lost all but a few of its leaves was frozen with those few leaves frozen too. 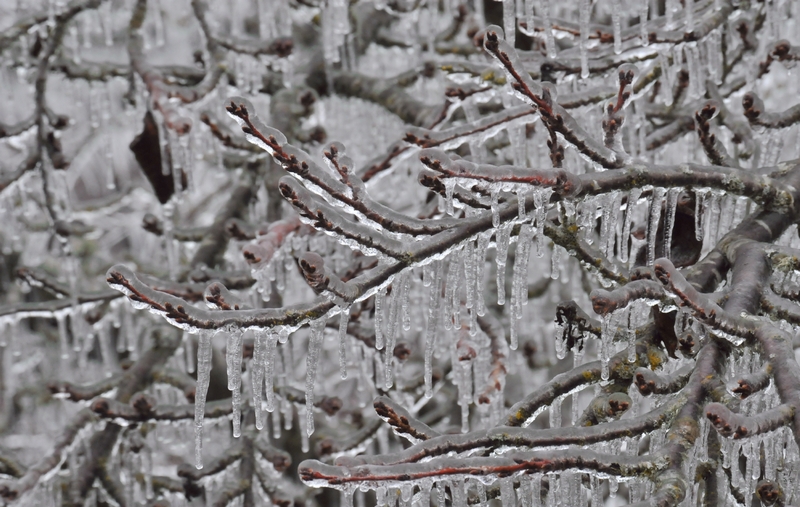 Branches of a tree were bowed over under the weight of ice. 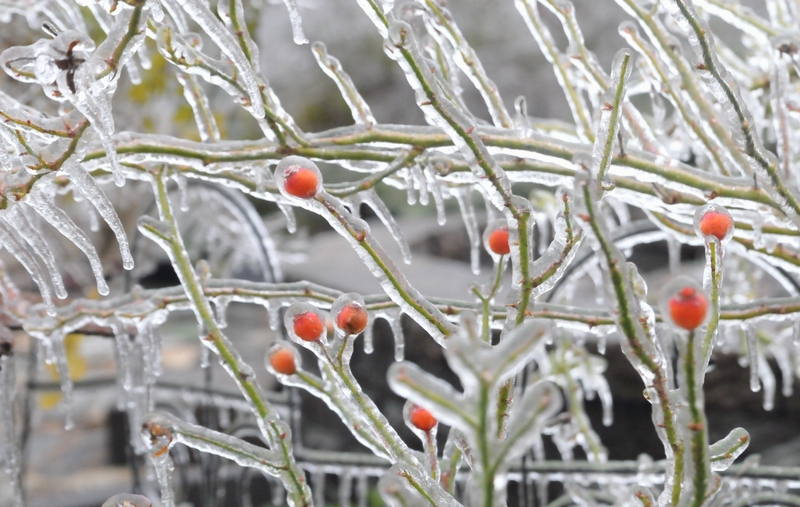 The rose hips of a rose bush were frozen and encased in ice too. 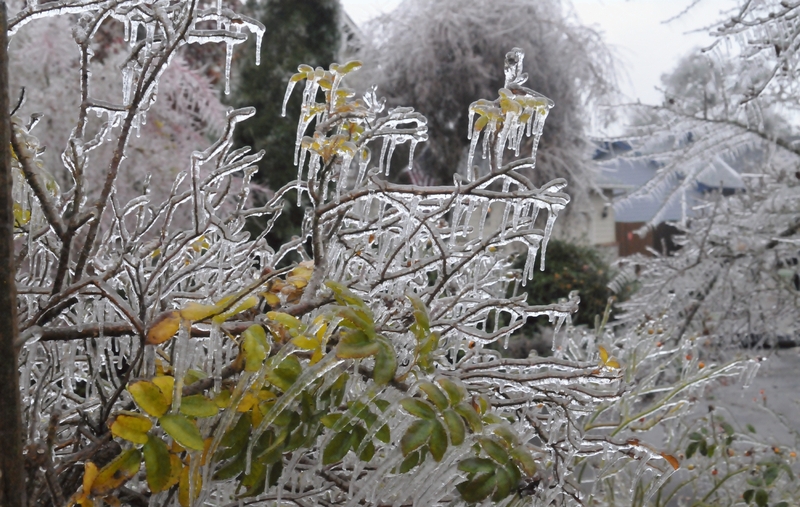 A red ornament was barely visible through the intervening ice encased branches. The top of this tree had broken off under the weight of ice. 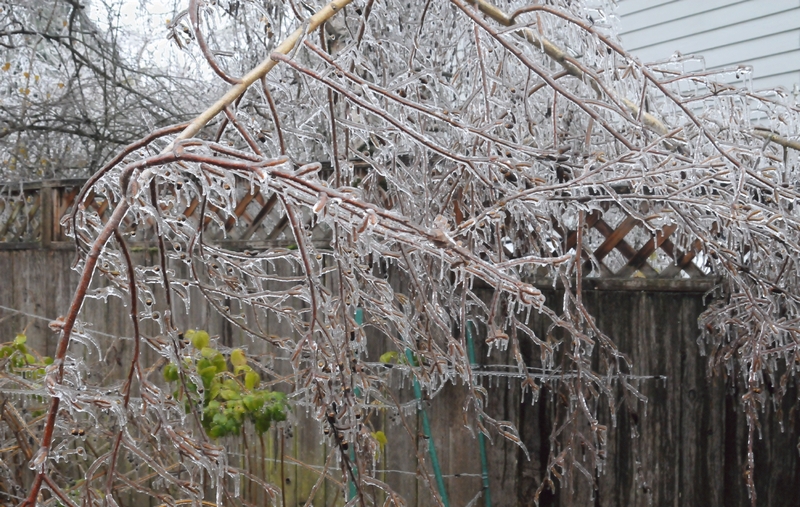 Its other branches were bowed but not yet broken. 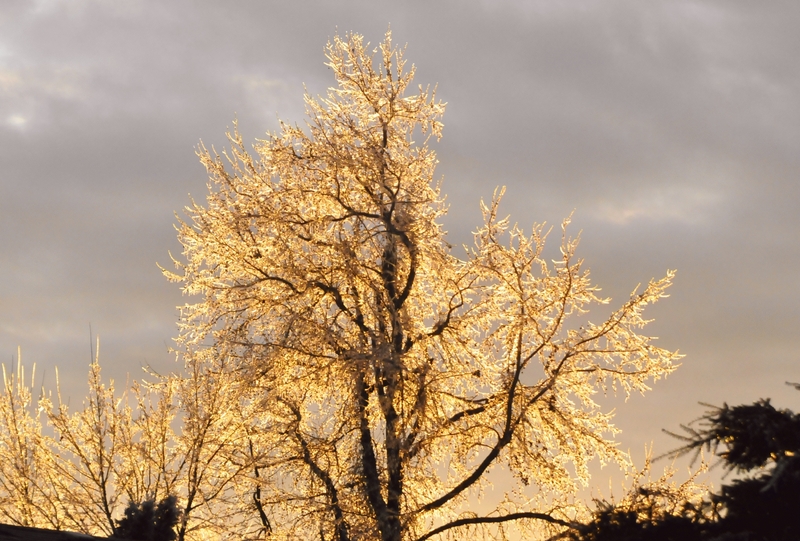 On the third day of the ice storm, the sun finally appeared and back lit an ice encased tree. 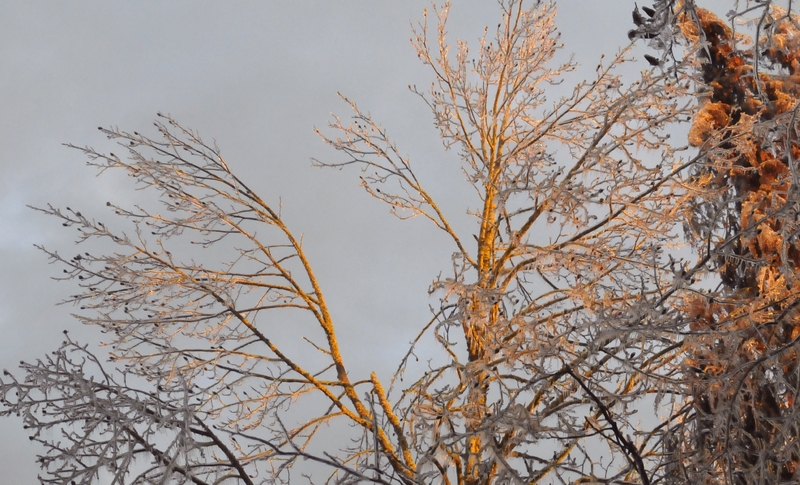 A late afternoon sun began to thaw the trees.